It may not look like much, but it’s mine! I spent a large part of my weekend in the garden, tending to the plants which I have planted, my orchid, and establishing areas for growth. Kitty seems a bit confused as to why I am doing this when we are intending to sell our home. I tell her that having a productive garden can only help our sale of the house, yet it is more than that. There is something about being outdoors on a warm, sunny morning. Helping the plants to grow, removing their competing weeds and soaking in the silence. In addition, if we don’t sell our house in a timely manner we can at least have some fresh produce from our garden. For a few hours I had my youngest son helping me with the weeding. We chatted about the plants and he told me how he is looking forward to eating the beans from our broad bean plants. 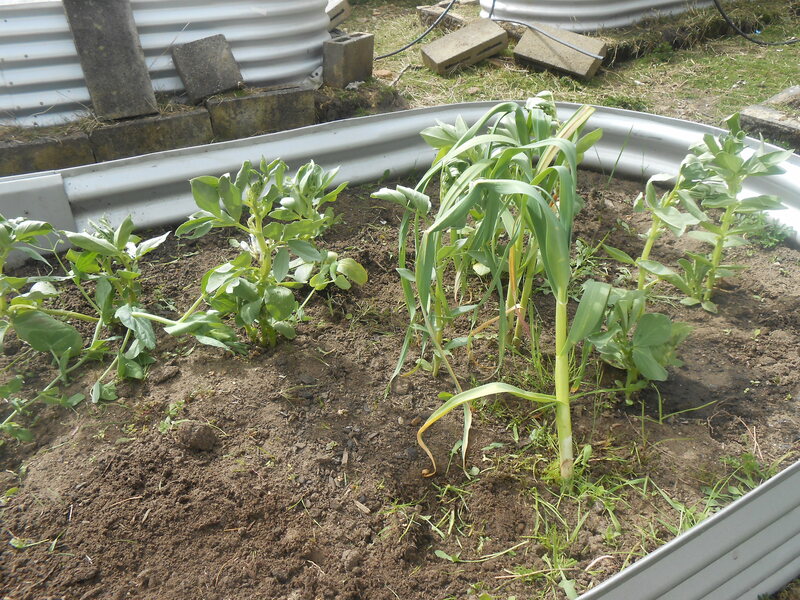 The plants which I planted, Broccoli, Lettuce, Broad bean and Snow pea, are all growing really well. I currently have them under a small polytunnel, so they are experiencing the best temperature for them to grow. This is essential as we have been getting snow at least once a week for the past few weeks. While the snow doesn’t usually stay on the ground, the fact that it is snowing shows that the temperature is a little lower than I would like. In addition to working on the garden I also spent a little time checking on my orchid. Everything seems to be growing relatively well, with most of my stone fruit trees starting to show blossoms. I was very happy with this, till I was visiting a house that we were considering as a purchase. The fruit trees there are already growing fruit. Obviously the climate on my property is not perfect. Anyways, while checking my trees I took the opportunity to spray my peach trees with a Bordeaux solution which I mixed. If you do not know anything about this please allow me to explain. Peach trees often suffer from a fungal disease called “Curly Leaf“. This causes the leaves on the tree to curl and twist, which can be disastrous to your tree’s growth. 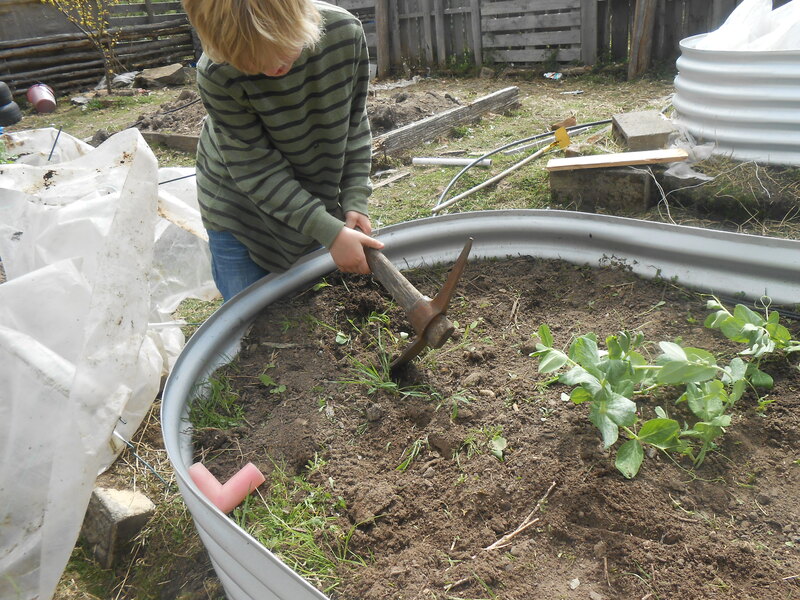 Gardening Australia provide a very basic recipe which could be useful. 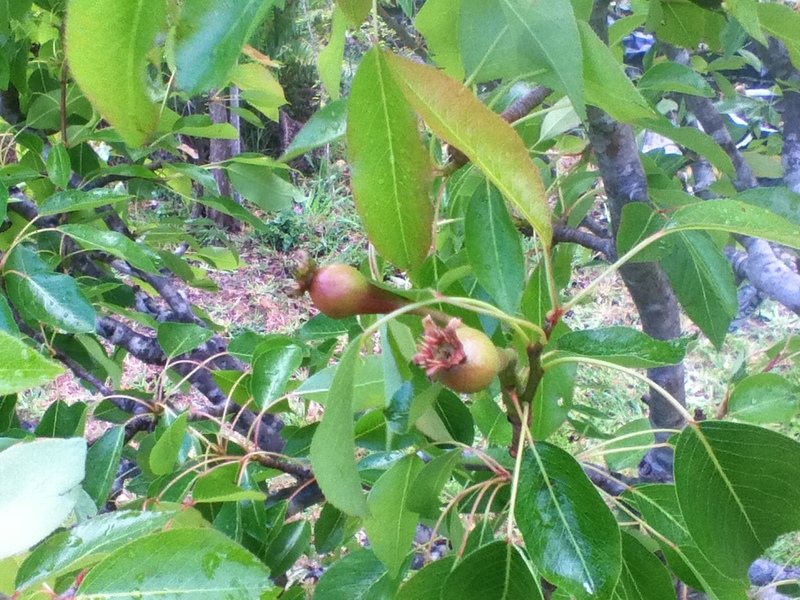 iPod quality image of the growing fruit. Despite this, we are still working on locating the perfect house for us. I am still optimistic despite the minor setbacks of not getting a good offer on our house, and not having our offers accepted.